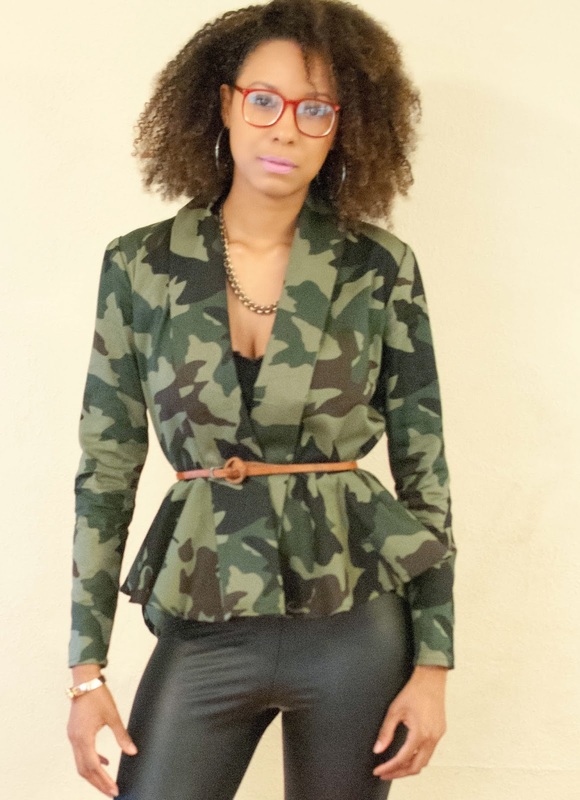 Camo print jackets seem to be a must for fall fashion and once again I just couldn’t bring myself to pay $$$ to buy one when I figured I could just make a simple one myself! 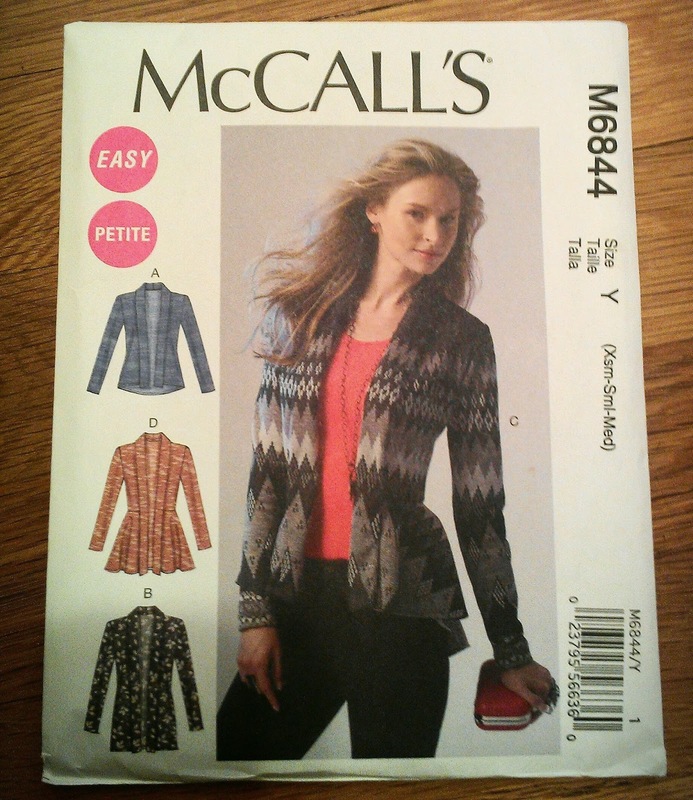 😀 So, I decided to make a peplum jacket using the easy McCall’s pattern #M6844 that purchased from Joann . I loved the way it turned out so much that I just might make a few more jackets in different prints some day. 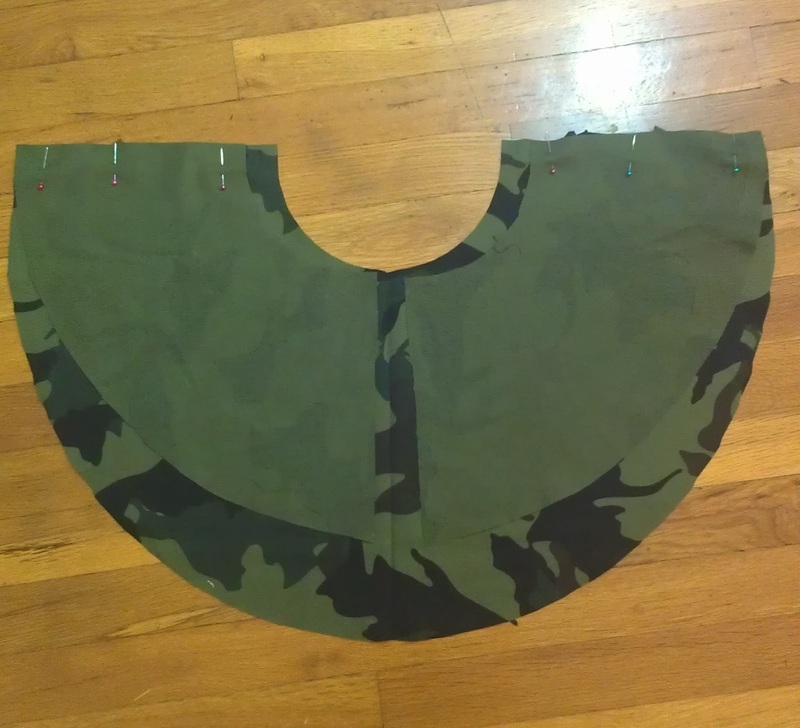 Cut out all the pattern pieces for option C. Before pinning to the fabric I always iron them on low setting (No Steam!) This will make them get static which will help them lay on the fabric nicely. Then pin the pattern pieces parallel to the salvages and fold and cut. 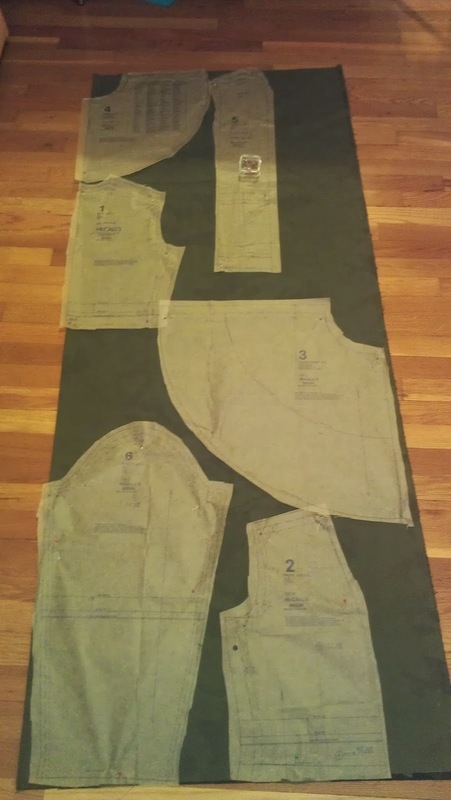 Take the back piece and the two front piece right sides together and sew the top shoulder seams 5/8” seam allowance. 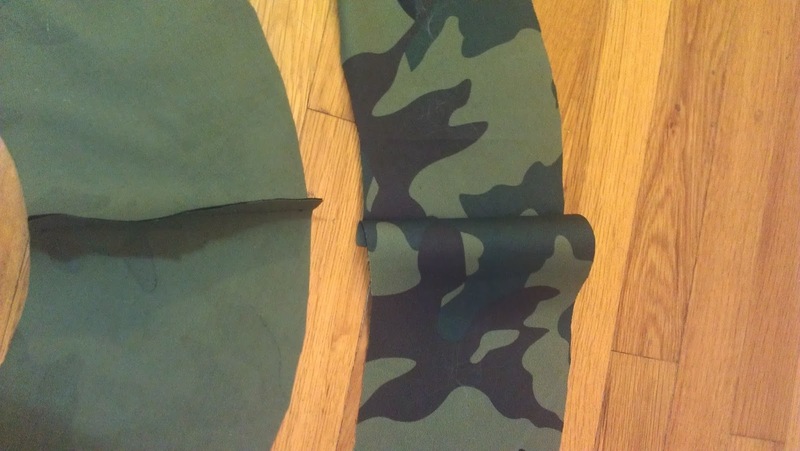 Then pin the sleeve by laying open the front and back pieces and placing the sleeve on top, right sides facing each other. 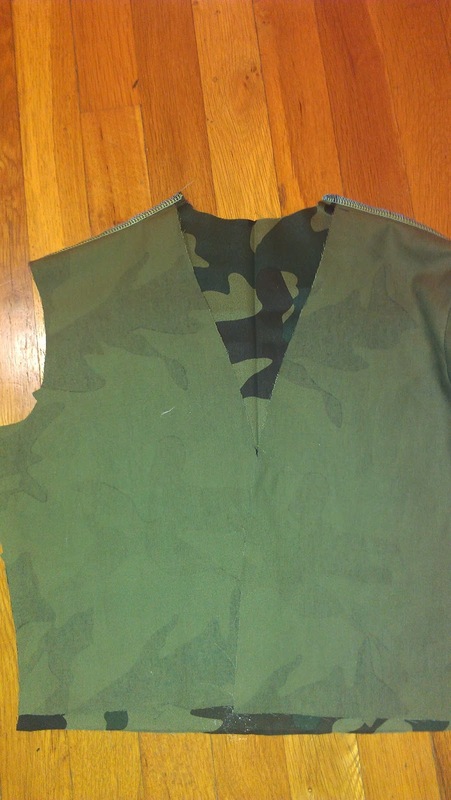 Make sure the middle of the sleeve lines up with the shoulder seams of the top and bottom pieces. Be sure to ease the curve in as you sew. 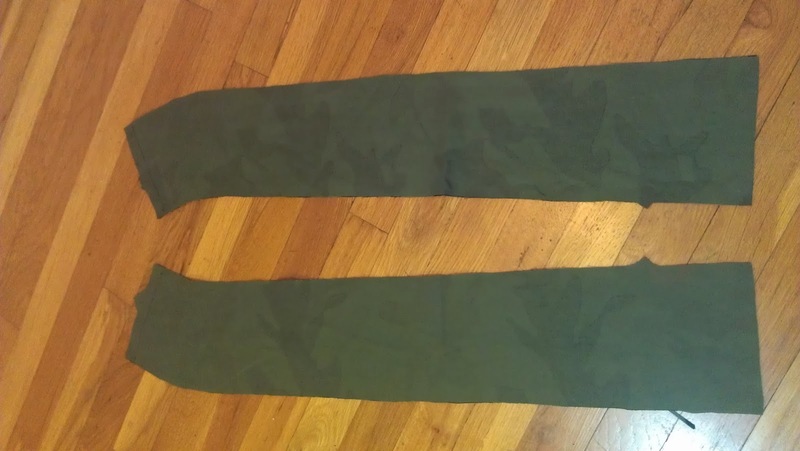 Here’s a picture after the sleeves has been attached. Next sew up the sleeve and side seams. 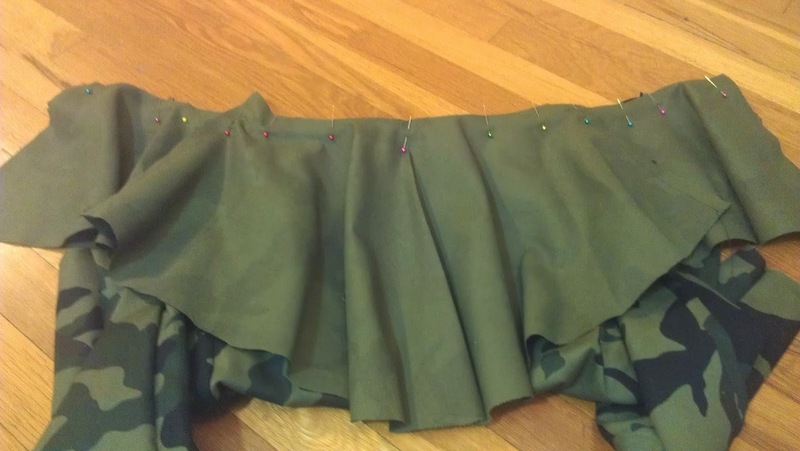 Lay the peplum pieces right sides facing and sew the two top side seams. 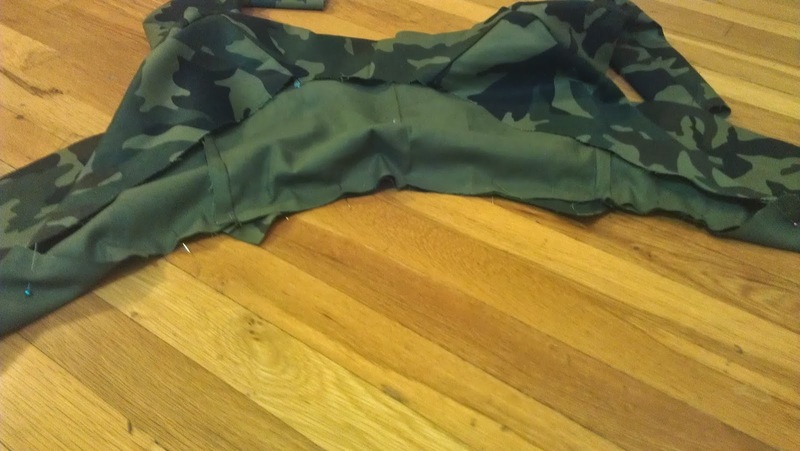 Next pin the peplum to the bottom of the jacket, right sides facing each other. 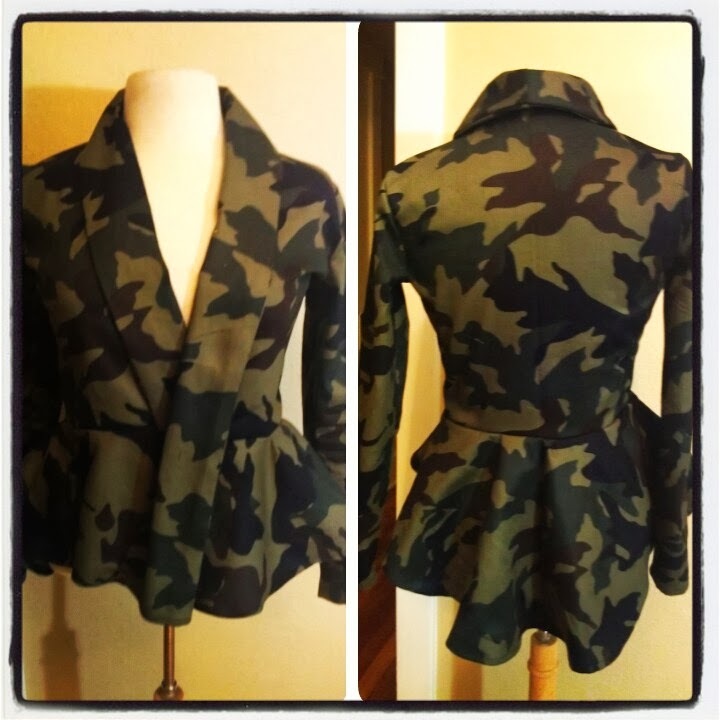 Here is another view of the peplum pinned to the jacket. Next take the 4 collar pieces and lay each pair right sides facing each other and sew the top seams. 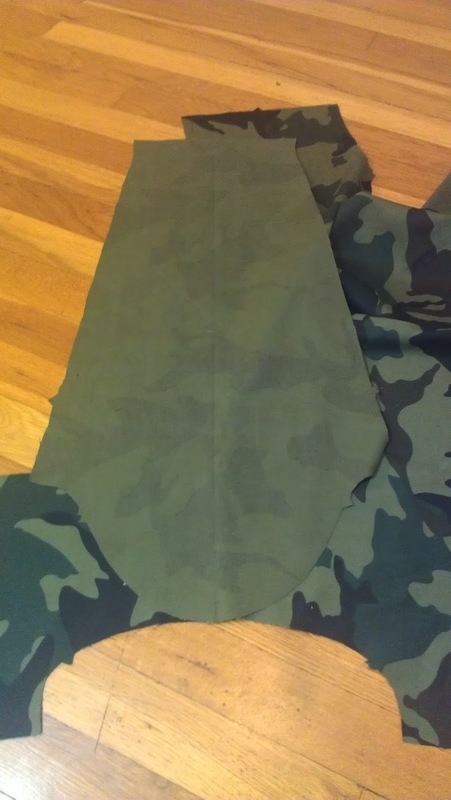 Then lay the two pieces wrong sides face each other, making sure the middle seams match up. Sew the top seams all the way around and then finally pin and sew the collar to the jacket, easing the curve in as you sew. The pattern says “petite”. Will it work for 5’4″ size 16 women? Or is there an equivalent pattern? Very cute! Hi Tonya! Thanks for visiting my blog! You know I’m not quite sure on the pattern sizes. I’m sorry. Great job, I’ve been holding on to this pattern and must make this. 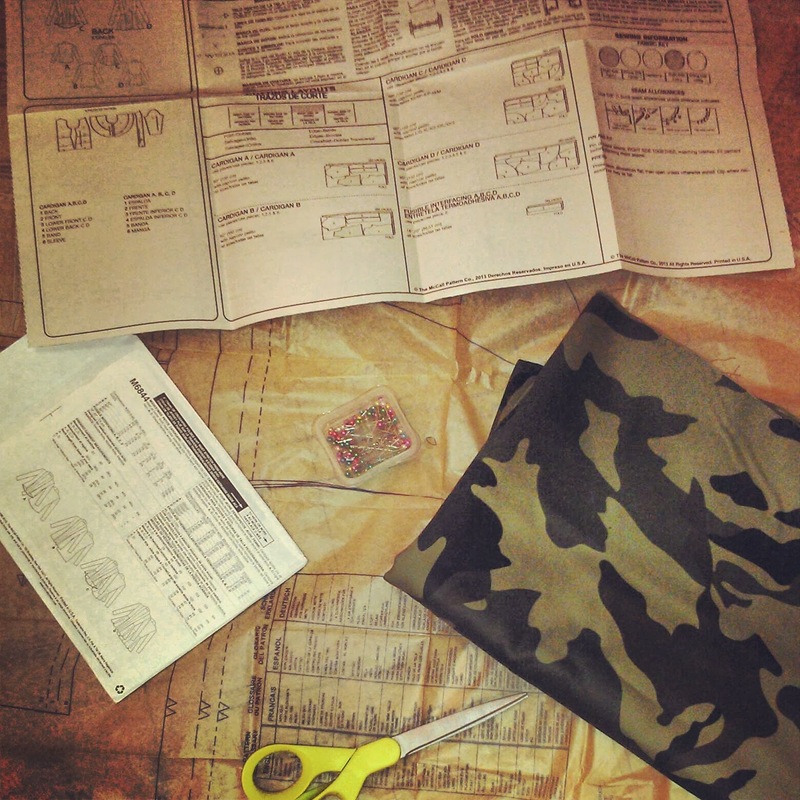 Where did you find your camo fabric? I assume that it is a knit and what I have is woven. Love your boots! Thanks Monette! Actually the fabric is cotton with no stretch. I wasn’t able to find the print in stretch. Wish I did though. It can be kind of hard to get in and out of lol! 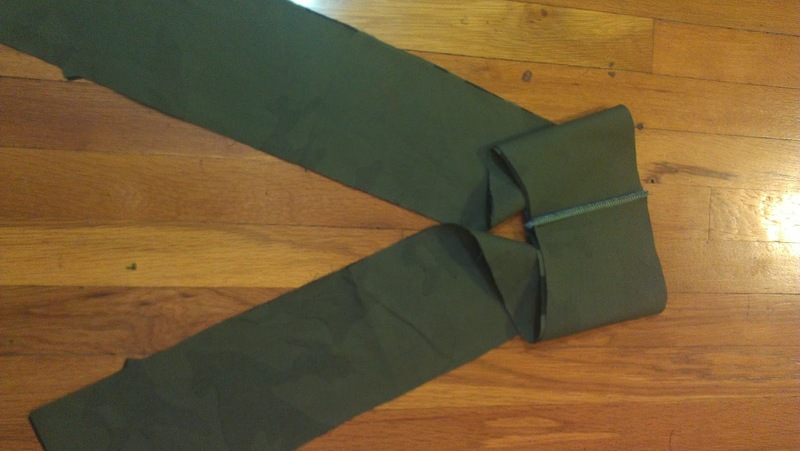 Did the camp fabric have any stretch to it? Unfortunately I wasn’t able to find camo with stretch.